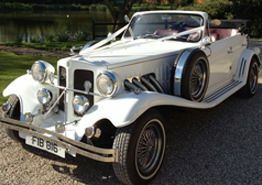 A.T. Beauford are wedding car hire specialists, providing wedding car hire in Hertfordshire and the surrounding areas. Equipped with an elegant range of cars, our company has set out with the mission to make your special day one to remember. 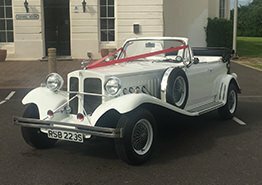 So, if you are interested in any of the wedding cars that we offer, please be sure to get in touch with us today so we can talk to you more about the process and how hiring a wedding car from A.T. Beauford works. 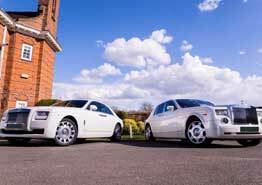 We will work closely with you to ensure your dreams and desires are all fully met with our wedding car hire service here in Hertfordshire. 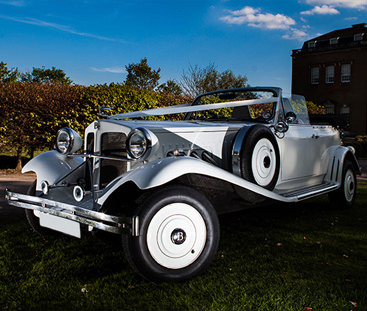 A.T. Beauford boast a vast range of sophisticated wedding cars available to hire for your wedding day. Whether you require a wedding car for you and your partner, or you are looking for something slightly more roomy for the bridesmaids, groomsmen or close family, we have suitable choices of cars that are guaranteed to cater to your needs. Should you be interested in any of the wedding cars that we offer, simply contact A.T. Beauford today to discuss your needs and check the availability on the wedding cars. The cars can be viewed prior to your special day, so you are more than welcome to come along and view the car you fancy at a convenient time. Hiring a wedding car with A.T. Beauford is simple, cost friendly and provides an ideal way of adding a special touch to your already perfect day. Watch people’s heads turn when they see you coming in one of the classic or vintage cars. 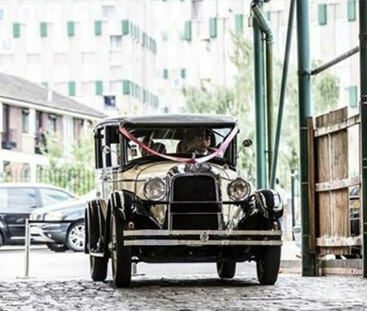 A.T. Beauford have been at the forefront of many happy couples wedding days over the years, and we know only too well the high standard our customers expect from us. 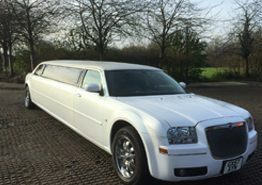 Whether you would like a Hummer Limousine or a White Beauford for your wedding in Hertfordshire, A.T. Beauford are here to make your special day as good as it can possibly be. 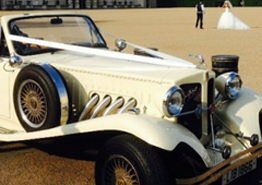 If you are looking for wedding car hire services for your wedding in Hertfordshire, or any of the surrounding Hertfordshire areas, A.T. Beauford is the company to call. Our service lets you travel in style on your big day using one of the cars to make your wedding day transportation something to remember. With years of experience working in a competitive industry, we know exactly what it takes to deliver a professional service for your special day. So on top of providing first class motors for your wedding day travel, we also offer a chauffeur driven service to ensure you travel safely to and from your wedding venue in Hertfordshire on the day. How much does wedding car hire cost? 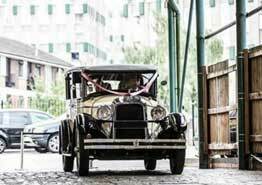 Prices for wedding car hire can vary depending on a number of factors. Think about how long you need the car for, the car you’d prefer, the distance that needs to be travelled and the date you are looking to book for. All these things considered will help us to create your personalized quote. Where can I find wedding car hire near me? If you are looking for local wedding car companies in Hertfordshire, A.T. Beauford will gladly assist you. Specialising in chauffeur driven wedding cars in Herts, we can help you to find your dream car. Which wedding car company to choose? It’s not always about the best price, there are other factors to consider. Be sure to find out about any additional costs when gathering quotes to help ensure you get the best deal. Some companies include ribbons and alcohol in their prices, so it’s worth taking the time to learn what you get as part of the deal. Who is the best local wedding car hire company in Hertfordshire? The best company is the one that meets your requirements. Your wedding day experience should be one that you never forget, so think about what matters to you. For some people it’s all about the car and for others it’s all about finding a company with a nice chauffeur. 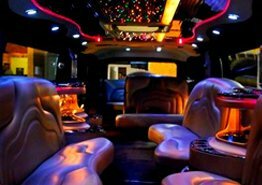 The best company for you will help to make sure your wedding transportation is memorable. How far in advance should I book my wedding car? Most couples will start looking for a car around 6 months before the wedding. It’s advised to look sooner rather than later to ensure you manage to get your dream car for the date you require. You will have far more choice when you look earlier, so don’t leave it too late. 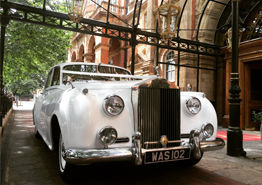 Our Wedding Car Hire service covers Watford, Barnet, St Albans, Welwyn Garden City, Stevenage, Hemel Hempstead as well as other areas within and around the Hertfordshire county.